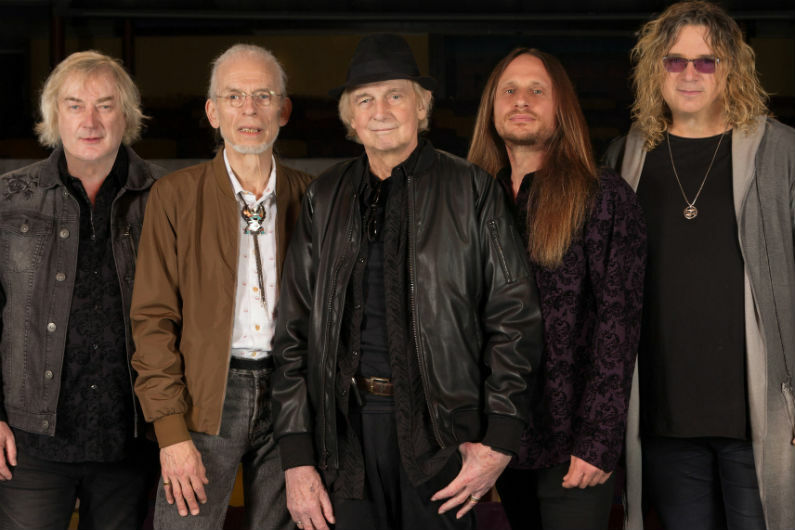 Yes have announced 2019 dates that are being billed as the Royal Affair Tour. The lineup at each concert also features Asia, John Lodge (bass guitarist of the Moody Blues), and Carl Palmer's ELP Legacy. The legendary prog-rock band essentially split about 10 years ago, with Steve Howe leading the "official" band with Alan White on drums, Geoff Downes on keyboards, Billy Sherwood on bass, and Jon Davison as the vocalist. The other Yes group (which does not have any 2019 tour dates at this time) consists of founding member and classic-era vocalist Jon Anderson with Trevor Rabin and Rick Wakeman. During the Royal Affair Tour, one of the interesting things is the crossover between band personnel. Downes and Sherwood will be pulling double-duty as members of Yes and Asia, while Howe (who was Asia's founding guitarist) will be making a guest appearance during the set. Carl Palmer is the founding drummer for Asia, and he will be performing with the band in addition to a separate ELP set with vocalist Arthur Brown. The tour also marks the introduction of Ron "Bumblefoot" Thal as a member of Asia. Also during the evening, Alan White will do a John Lennon tribute (White was the drummer on much of Lennon's solo material including "Imagine"). 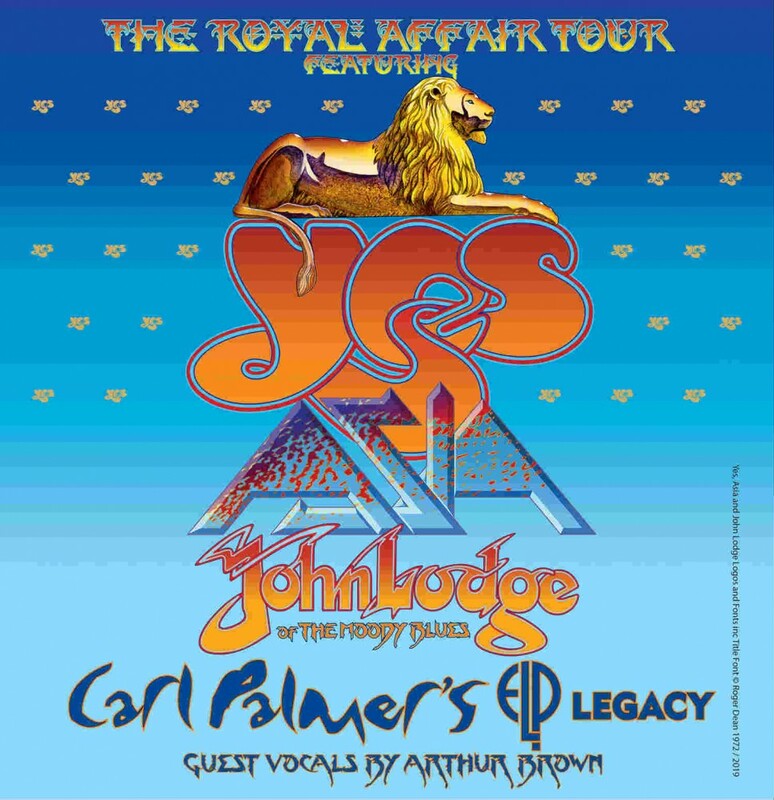 Yes, Asia, John Lodge, and Carl Palmer’s ELP Legacy at EXPRESS LIVE! When do Yes 2019 tickets go on sale and what is the presale code? The general public on-sale begins as early as April 5. Presales are currently underway for Citi cardmembers. VIP packages, American Express cardmember, Live Nation, LN Mobile App, Facebook, and local venues / radio presales will follow. American Express cardmembers can use the promo password INGOLD and 412800 for the Citi presale, but you will need an AmEx or Citi card to complete your purchase. The Live Nation / Ticketmaster presale password is VIBES and the LN Mobile App code is COVERT. Keep in mind, each date is different and details are subject to change. Click through the individual concert links for more information about the show you're interested in. We recommend following Yes on their social media accounts and signing up for their free email newsletter (top of page), in addition to checking your local venue's email newsletter and social media, to get the most up-to-date information. More dates are expected to be announced, so check back here when that information becomes available. For the latest music, news, and tour dates from Yes, check out their Zumic artist page.